Police Officers and Deputy Sheriffs perform one of the most physically demanding jobs in the United States. Not only are these occupations physically demanding, they are dangerous: Each year scores of law enforcement officers lose their lives each year in the line of duty. Both of these jobs have higher than average incidence of cancer, back injuries, disability retirements, and workers' compensation costs than do workers in many other jobs. This is due, in part, to the physical demands and environmental hazards associated with the job. Demands on local police and fire protection can only be expected to grow in the aftermath of the attacks on New York and Washington, D.C. and the creation of the Department of Homeland Security. Local public safety resources, already stretched thin, have been asked to assume more and more responsibility for the maintenance of public safety from a growing array of potential threats. An important function of local government is to develop minimum requirements for Deputy Sheriff and Police Officer certification including the assurance that individuals placed in these jobs are physically capable of performing the work. This activity must be performed in accordance with the applicable state and federal fair employment laws. The Uniform Guidelines on Employee Selection Procedure state that any test (for either new hires or employees) must be developed in accordance with "professionally accepted methods." Unless the employment tests are developed in a manner consistent with the Guidelines they cannot be defended. 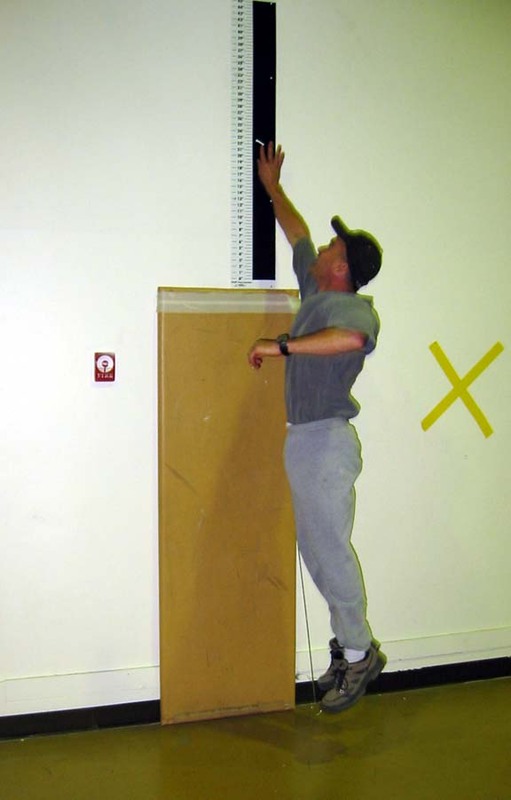 Agencies seeking to implement physical ability testing programs must comply with the Guidelines, if they are to have a reasonable chance of prevailing in a legal challenge. The Civil Rights Act of 1964 (as amended), the Americans with Disabilities Act of 1990 and the Civil Rights Act of 1991 require that job applicants be tested in relation to the physical demands of the relevant job. In order to comply with these laws, the job must be scrutinized to separate essential functions from those which are not essential. If the applicant is failed and files a complaint, the employer must be prepared to demonstrate that the applicant cannot perform the physical demands of the job or would do so only at the detriment of the applicant or the employer. It is our experience that a valid physical screening program must be based on a solid foundation of job analysis. A proper job analysis provides the basis for the development of a realistic physical ability test to help identify applicants who have the greatest probability of job success and the least probability of injury or illness. Simulation and work sample tests are deceptively simple. Seemingly straightforward and easy to construct, these tests have been subjected to countless legal challenges on a wide variety of grounds. Often these tests have been found deficient due to the lack of an adequate job analysis, lack of relationship between the job and test performance, and the arbitrary nature of the cutoff score, etc. Pass points have been set using unscientific and arbitrary formulas such as setting the pass point at the level of the lowest performing currently employed incumbent or even on the basis of how persons appear in videotape simulations. Often the job analysis is not comprehensive enough to support the test in the event of a legal challenge. This is not to say that work samples cannot be properly developed. If constructed with care, such tests are very valuable in screening new hires or to determine if incumbent officers remain able to perform the functions of their job. The MED-TOX approach to test validation involves the construction of both a work sample test and a physical ability test to allow for the criterion-related validation of both test types in a single study. 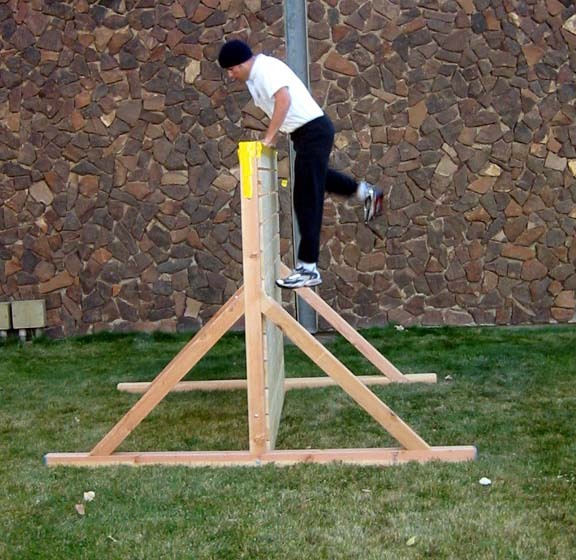 The approach described below demonstrates how a work sample test can flow from a comprehensive job analysis and how physical ability tests can be developed based on those abilities used to perform the work sample tasks. This is the essence of criterion-related validity. There should be a job analysis which includes an analysis of the important work behavior(s) required for successful performance and their relative importance. Any job analysis should focus on the work behavior(s) and the tasks associated with them... The work behavior(s) selected for measurement should be critical work behavior(s) and/or important work behavior(s) constituting most of the job. [emphasis added]. Task: Wrestle with a resisting suspect in order to place handcuffs on him. There are a number of Content Areas that are unique to law enforcement work (Patrol, Traffic, Investigative, Emergency Response, Subdue and Restrain, etc.) which are derived during the job analysis. Using these content areas is important because it assists in documenting that the content of the job is assessed by the test that is subsequently developed. Without this documentation, it will be difficult to know if the physical ability tests overemphasize some aspects of the job and under-emphasizes others. Ability Dimension: Muscular Endurance Task: Wrestle with a resisting suspect in order to place handcuffs on him. The use of Ability Dimensions ensures that all of the relevant physical attributes are assessed by the test. Taking care to perform these activities bolsters the legal defensibility of the test. This approach can also lesson adverse impact. For example, tests which emphasize arm strength tend to have an adverse impact against untrained females. 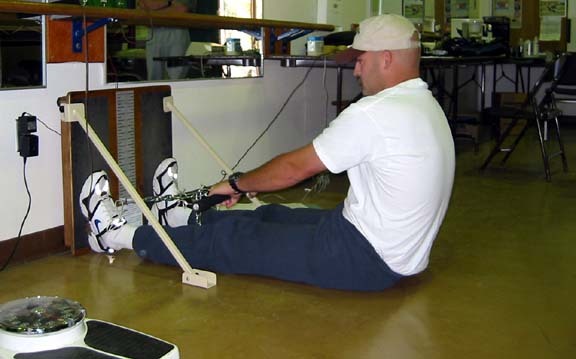 Tests that emphasize flexibility adversely impact untrained males. Using Ability Dimensions will also help ensure that a range of abilities is assessed by the test. The MED-TOX approach relies almost exclusively on the input of currently employed incumbents. We have no commercially prepackaged test to sell. We have a carefully designed process to manage. 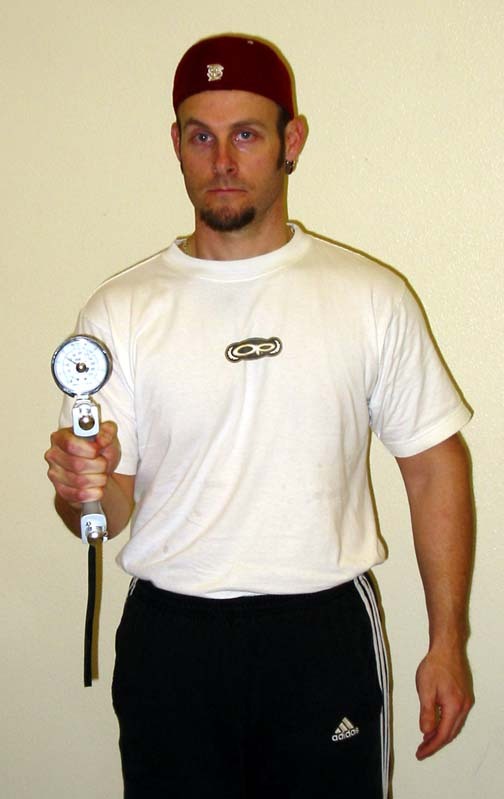 The process is to determine to what extent performance on the physical ability test (example: grip strength) is related to performance on the work sample measures. Correlation, regression, and analysis of variance provides the necessary information to determine which ability tests should remain in the final test battery and which should be excluded. Based on a physiological analysis of each work sample event, a set of physical ability tests are hypothesized to correlate significantly with each work sample. The work sample tests are typically taken by a sample of incumbent volunteers. Gender and age comprise two important variables as well as current assignment. Since range restriction can be a problem that lowers the validity of a test when very similar persons comprise the sample population, MED-TOX has devised several techniques to overcome this potential problem. Incumbent testing is critical to test validation. 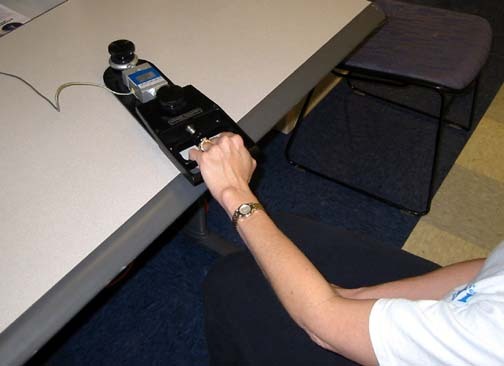 Below are photographs of law enforcement officers participating in test validation. 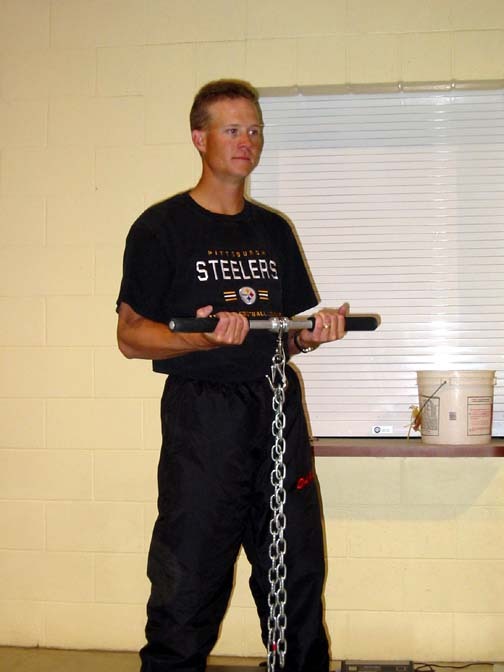 Jamar grip strength is a common measure of muscular strength. Sit-ups and push-ups are common tests of muscular endurance. 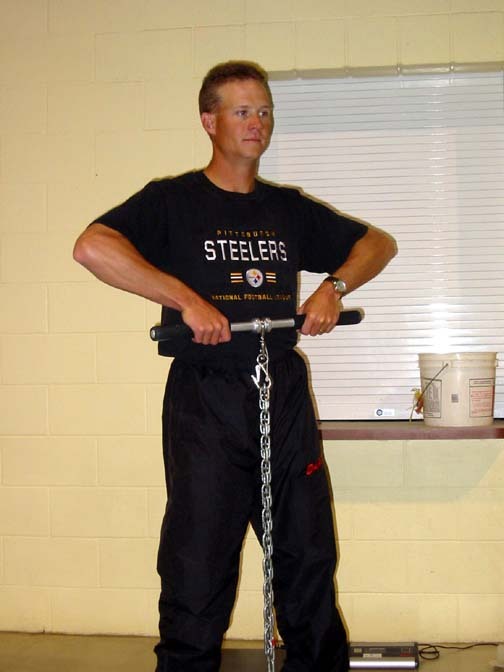 MED-TOX may recommend the Jackson Strength Evaluation System for jobs in which lifting or carrying are essential functions. 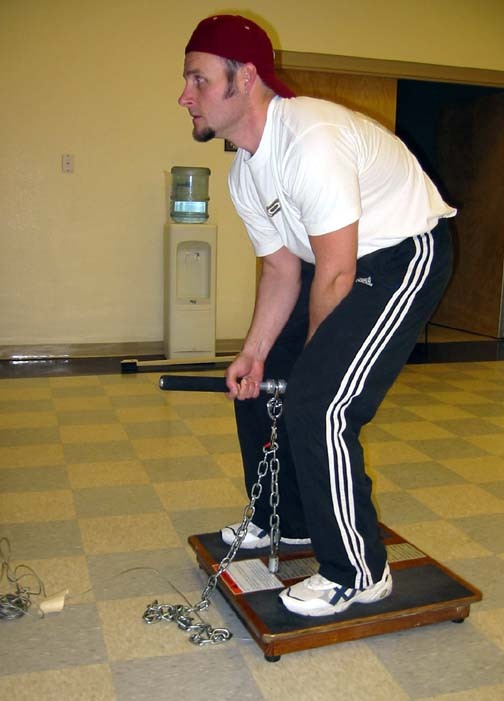 The Jackson Grip Test is shown below. The Jackson Arm Lift and Shoulder Lift require muscular strength. The Leg Lift and Torso Pull comprise the 4th and 5th Jackson measures. The Bend, Twist and Touch test has been demonstrated to correlate with law enforcement work samples. The 100 yard dash is a standardized measure of muscular power. 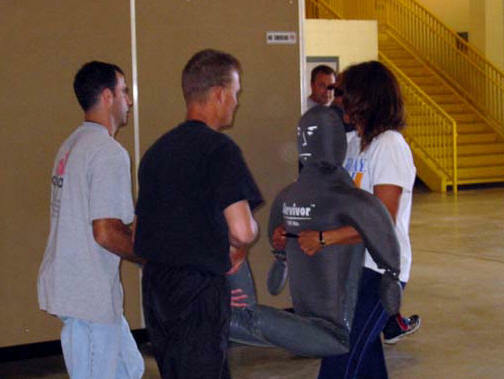 Work Samples can involve a variety of law enforcement tasks. 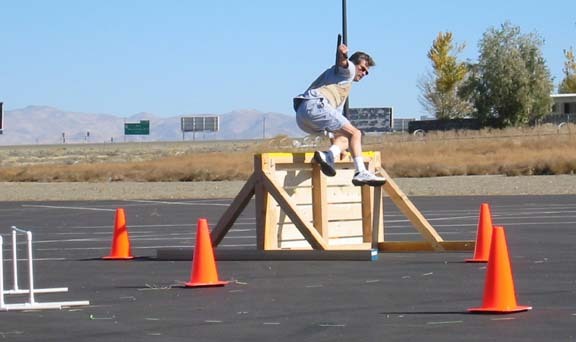 The wall climb, pursuit run, pursuit obstacle courses, and body drags comprise other work samples. The passing point should be set in a manner consistent with professional recommendations. The MED-TOX methodology for setting the passing level is based on multiple forms of evidence collected in the job analysis, incumbent testing, and on the basis of expert judgment. MED-TOX does not set passing levels on the basis of the lowest scoring currently employed incumbent, "one standard deviation below the mean," or by some other arbitrary and defenseless formula. 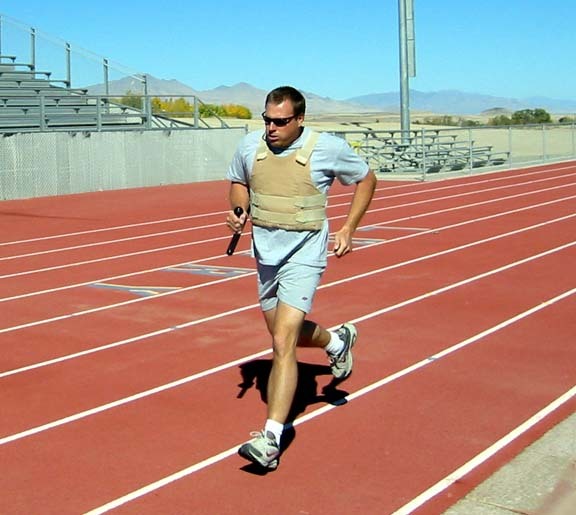 Contact MED-TOX for more information about police physical ability testing.